Got a question? Something to say? Send us a tweet! 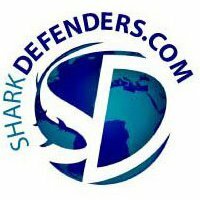 Founded in 2010, Shark Defenders is dedicated to protecting shark and ray species through the creation of no-take marine reserves.. In 2011, our first campaign banned the sale, trade, and possession of shark fin in the Northern Mariana Islands. Two months later we banned the sale, trade, and possession of shark fin in Guam. In 2012, we were one of the first organizations to receive a reply from the Obama Administration's We The People program. We also helped American Samoa ban all shark fishing by creating public service announcements here, here, here, and here. In 2013 we delivered 10,000 Shark Stanley photos from 135 countries to delegates attending the Convention on the International Trade in Endangered Species of Wild Fauna and Flora and successfully advocated for the inclusion of hammerheads, oceanic whitetips, porbeagles, and manta rays on CITES Appendix II.